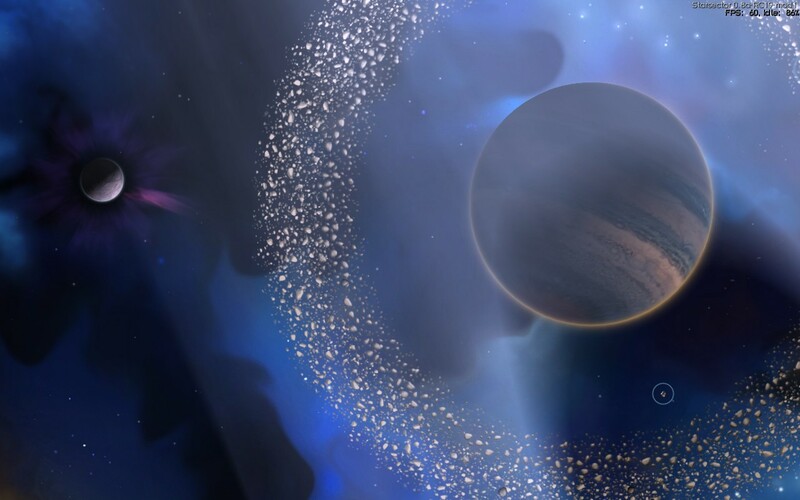 Explore new systems, with more varied planets and backgrounds. Essentially a direct implementation of the best of my Texture Pack. 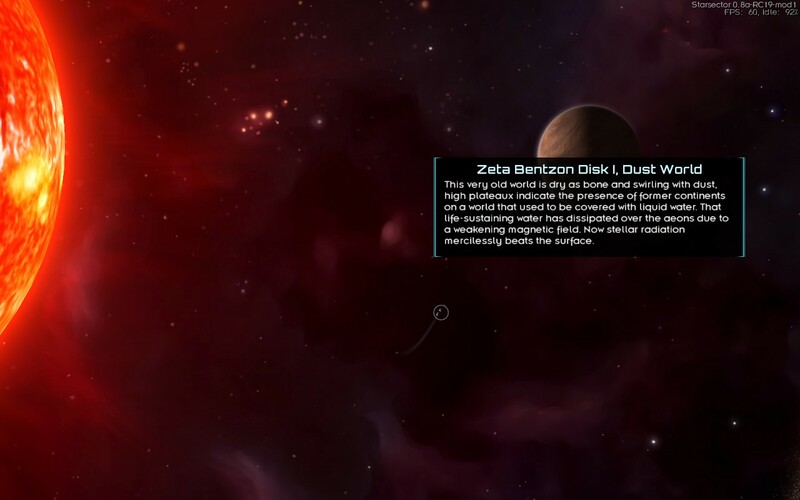 This mod significantly expands the variety of systems and planets you'll encounter while exploring. 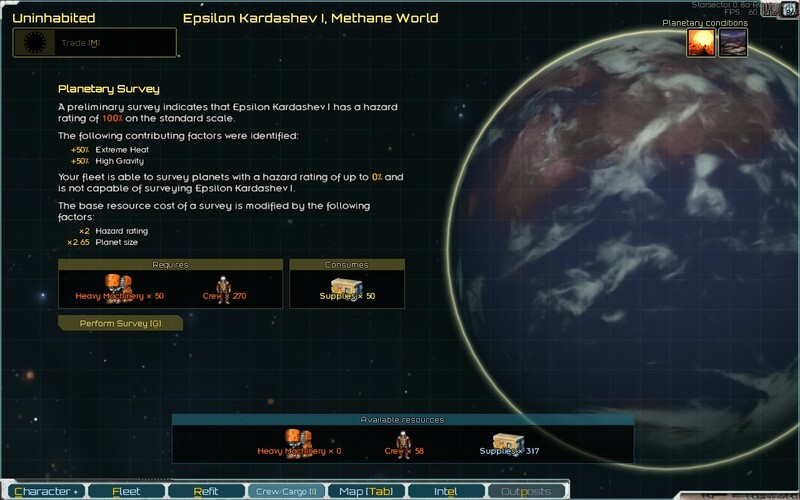 To other modders that used the resources pack, please make sure to update the names and paths of your planets as to not needlessly bloat the memory. Also includes a handful of additional and rare planetary conditions that can make or break a colonization candidate, as well as a few new ambiance sounds for different terrain types. KNOWN ISSUE: The discoverable conditions effects won't be reflected in the colonization screen stats, but will be properly applied once the colony is established. This is already fixed for the 0.9.1 release. Thanks to Serenitis that provided some of the planets maps. It looks incredibly pretty and appropriate for the new 0.8 features! But then where's the fun in exploring new stuff? Thanks and a new game is necessary, the new content is directly added to the procgen tables. Aww... I suppose there's that. Having said that, it'd be cool to have a gallery or something where players using the mod could share screenshots of their most epic and beautiful adventures. ... Am I thinking too far into this? Although you might want to change "plateaux" to "plateaus", as it seems only some Brits still use the French plural form. I know I thought it was a typo at first. Surveying planets gives me ideas to colonize them or something! Nice! But isn't this in the wrong section? Mods start out in the "Modding" section of the forum, and have to be approved by the admins before it can be moved up into the parent "Mods" section. Also, it's not necessarily the wrong place - mods can be found in either. Thanks for triggering some Star Control nostalgia with those planet classes. This is a good mod, and you should feel good. Another day, another episode of "Tartiflette spoils us with great content and assorted eyegasm"